It’s just after four in the morning and I’m leaving home and that’s when I realise two things. The buses don’t start running for another hour and it’s cold. Really cold. The reason I’m headed into the city centre at such a ridiculous time on a Saturday morning is to make sure I get a good place in the queue at Rough Trade in Nottingham for Record Store Day. 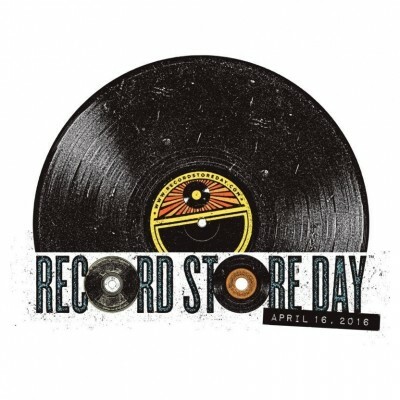 For those of you who don’t know what that is, Record Store Day was first dreamt up by various independent record shop owners in America in 2007. Their stores were feeling the pinch due to the predominance of major labels now selling cheap CD’s through supermarkets and major online sites, illegal downloading and the birth of the new phenomena of music streaming. They approached independent labels and artists and pitched the idea of pressing extremely limited amounts of vinyl records that would pique the interest of collectors and fans, but on the understanding they could only be bought in independent stores that had signed up to the scheme. All to be released on the same day. The idea was that by providing something rare that couldn’t be bought elsewhere would ensure an income for local independent record shops. The place you can wander round and actually look at what you’re buying, and maybe spot something you’ve never seen before. Get chatting to the person behind the till who enthuses that if you’re buying this, you totally want to listen to something you’ve never heard of before. It helps the local economy with money staying in the high street, keeps people employed, gives up and coming musicians somewhere to make themselves known and it means that those cultural hubs don’t wither and die. By now I’ve made my way into town and I’ve joined the queue that’s already assembled outside the shop. It’s an almost comical scene, people wrapped up in camping gear and huddled together whilst remaining oddly mute. At this stage I can’t quite tell if that’s because no-one knows each other or our mouths are frozen shut. To the casual observer it might look like a load of penguins have raided an army surplus shop and the weird line of cold quiet people queuing doesn’t go unnoticed by the last of the drunks wandering home. “What are you protesting about?” one man stumbles over to ask. When he’s met with silence he shouts it again. Louder. Dissatisfied that no-one answers he wanders into the cold dark. Three girls clinging on to each other for dear life collectively tumble towards us. “It’s a food bank! !” their leader triumphantly declares and the trio confidently proceed down the street. But it does make me start to wonder why am I here for yet another year, getting up so early on a precious day off to hand over my cash. Is it because I’ve been tricked by clever marketing? Is it because the first thirty people get a goody bag from the shop? Is it because I’ve seen a list of what’s going on sale and I’ve spotted a handful of records I’ve decided I can’t live without? Probably a bit of all of the above. Thanks for everyone for coming out and we're looking forward to seeing you all throughout the day. Clearly the idea works because even at this time in the morning the queue is big, and it’s approximately twice the size of the year before. With the sun threatening to make an appearance I start talking to the gentleman, Sean, immediately behind me in the queue. We bond after noticing we’re both wearing Star Wars T-Shirt and laughing at the comments of the drunk passers-by. I ask him what he’s hoping to buy and he becomes immediately suspicious. Although it’s his first year it’s a trait not uncommon to many veteran Record Store Day attendees. The paranoia fostered by not knowing if the shop even has a copy of your desired limited record causes many to become deeply suspicious, guarding their wish list jealously for fear that someone else may be inspired by their choice and get there first. After I reveal my hand and tell him I’m here for the Manic Street Preachers 12” Design For Life single and the infamous C86, a free compilation cassette from NME that heralded the birth of indie, now pressed onto vinyl. He whispers into my ear he’s after the Iron Maiden’s Empire Of Clouds picture disk, various film soundtracks and the Justin Bieber rarity which he goes to great pains to tell me isn’t for him. Sean is a man of good humour, but he’s anxious about the scrum he’s expecting in the store. I tell him it’s all very civilised and that we’ll be issued a number and summoned in an orderly fashion. As if on cue, the store manager Kyle arrives and the gentle giant begins distributing raffle tickets to ensure your place is secure before ushering us into the sanctity of the warm bar above the shop. Eagerly I take ticket 31 and the significance of this number is lost on me until I see the last of the goody bags evaporate in front of me. Damn. we're serving up hot food and @allpressuk coffee before the Music Floor opens at 8am. Safely upstairs I order a coffee and consider asking them to put a bit of whisky in it. I don’t really drink coffee or whisky but I could do with something to warm the bones. After chatting to Sean some more before I find myself in the company of my friends Tom and James. We swap stories about last year’s Record Store Day where they met an interesting man in the park called Alchy Jim and decided to bring him along, gig’s we’ve been attending and Iggy Pop’s now famous cockatoo. I notice people are being summoned and my number will be soon so I head to the door. Whilst there a fashion student and her Dad make nervous small talk with me. We find ourselves trading facts about Stiff Records when they tell me they’re after the three volumes of The Damned’s 35 Years Of Anarchy, Chaos & Destruction but I’ve got my eye on the door. Soon enough my number is called. There’s already thirty people, not including staff, down here and I enter with another ten. Mild panic takes hold and a few people begin to dash. I quickly find my two essential records and so have the luxury to browse. I find a couple of other records I quite fancy and spot that Justin Bieber record that Sean was after. As there is only one copy I pick it up and wait for him to be allowed entry to shop. I’m about to join the queue when I receive a message from my friend Dom. He’s not anticipated the queue to be quite so massive and he’s still stuck outside so he asks me to try and get him a copy of Skywave’s Killerrockandroll and Happy Songs For Happy Zombies by Pinkyshinyultrablast. By now the store is thick with excited music enthusiasts and the mild panic tips over to slightly riotous making the search a bit harder. It turns out they never received a copy of the Skywave record so I try and join the queue after finding the other. The problem is that the shop is really quite full now and it’s hard to work out who is browsing and who is trying to buy. Before the manager Kyle expertly re-organises the herd of customers I find myself pinned into the 7” corner. A lady mistakes me for a member of staff and asks me where is Squeeze and I can’t help tell her I think she’s found it already. When I eventually reach the till the friendly but slight fraught staff pack my wares into the a tote bag that turns out to be free and bid me farewell. A number of people ask me if I’m sticking around to see the various bands playing upstairs or going to wander over to quaint bar Malt Cross who are also putting on events to mark the day but I’m done. Spent up, I realise I have just enough to get the ingredients of a badly needed fried egg sandwich before getting some sleep. The buses are running now and I smile to myself thinking about the mornings proceedings. Even though I’ll be missing the live music I’ve got the slightly buzzy feeling that comes from attending a festival and forgetting the cold I find I’m already looking forward to next year.